A view of the CarMax project, looking northeast from Madison Avenue just south of Murrieta Hot Springs Road. 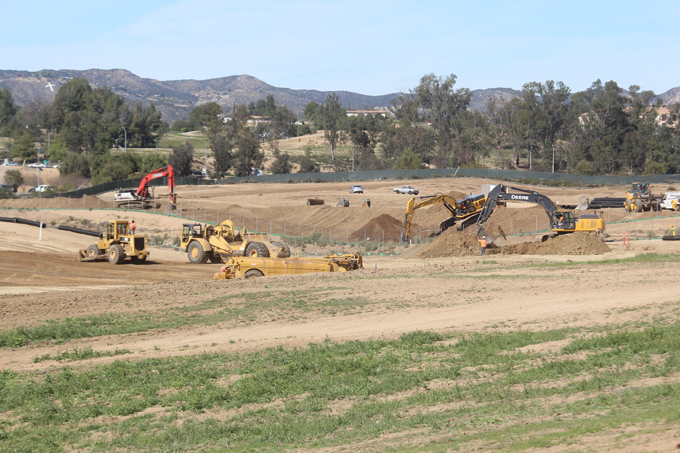 Construction is underway in Murrieta on what will become one of the largest CarMax facilities in the nation. The 46-acre site, approved by the Murrieta City Council last July, is located in a large plot of vacant land south of Murrieta Hot Springs Road on the west side of Interstate 15. It is expected to bring 250 jobs to the city. The used-car retailer will offer car sales, service and auctions.